We have been manufacturing a precision engineered range of hot water generators. These are available in varying capacities and can be customized as per the specifications of our clients.We manufacture an exclusive range of superior quality Industrial Hot Water Generators. Vented systems provide temperatures up to 98°C. Pressurized systems are essentially closed loop required for indirect heating and provide temperatures up to 150°C without boiling or steam formation. We provide different capacities in either Coil type or Shell and Tube type constructions. Our hot water generator are specially designed to operate on various fuels like coal, bio-mass, heavy oil, light oil, gas and duel fuel. Thermotech's, Hot Water Generator are available for Range of 1 Lac Kcal/hr to 80 Lac Kcal/hr with Maximum possible temperature of 280 Deg. C in operation. The designed HWG is suitable for Fuels like : Furnace Oil, LDO, Diesel, LPG, N. Gas, Hydrogen Gas, etc. System is engineered with all safeties considered for smooth operation of system. Kindly refer to attached brochure for more details. We have been manufacturing a precision engineered range of Hot Air Generator. These are available in varying capacities and can be customized as per the specifications of our clients. We manufacture an exclusive range of superior quality Industrial Hot Air Generators. Vented systems provide temperatures up to 98°C. Pressurized systems are essentially closed loop required for indirect heating and provide temperatures up to 150°C without boiling or steam formation. We provide different capacities in either Coil type or Shell and Tube type constructions. Our hot air generator are specially designed to operate on various fuels like coal, bio-mass, heavy oil, light oil, gas and duel fuel. 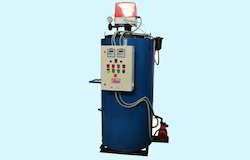 Being an eminent Organization, we hold expertise in offering a wide range of Oil Fired Hot Water Generator. These are manufactured by us using quality materials, which are procured from reliable vendors of the market. 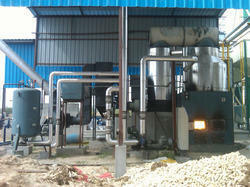 We deal in Hot Water Generator for Oil Fired, our expert design it on the basis of industries standards. 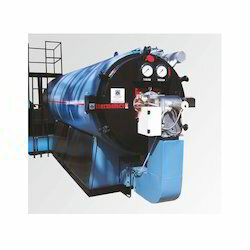 Being an eminent Organization, we hold expertise in offering a wide range of Solid Fuel Fired Hot Air Generator. These are manufactured by us using quality materials, which are procured from reliable vendors of the market. Owing to their superior quality and reliable performance, these Hot Air Generator are widely demanded across various Industries. To cater the variegated requirements of the customers, these are offered by us in various technical specifications. We have been manufacturing a precision engineered range of Hot Water Generator for Oil and Gas Fired. These are available in varying capacities and can be customized as per the specifications of our clients.We manufacture an exclusive range of superior quality Industrial Hot Water Generators. Vented systems provide temperatures up to 98°C. Pressurized systems are essentially closed loop required for indirect heating and provide temperatures up to 150°C without boiling or steam formation. We provide different capacities in either Coil type or Shell and Tube type constructions. Our hot water generator are specially designed to operate on various fuels like coal, bio-mass, heavy oil, light oil, gas and duel fuel. 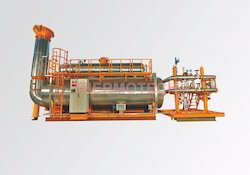 The designed HWG is suitable for Fuels like : Furnace Oil, LDO, Diesel, LPG, N. Gas, Hydrogen Gas etc. System is engineered with all safeties considered for smooth operation of system. Kindly refer to attached brochure for more details.